TV Jones is a brand name synonymous with aftermarket reproductions of vintage Gretsch pickups, but the company – headed up by Thomas V Jones – is responsible for a line of electric guitars, too. Hang on a minute, though… doesn’t the Spectra Sonic Supreme look a little familiar? That’ll be because the design has been around for a while. 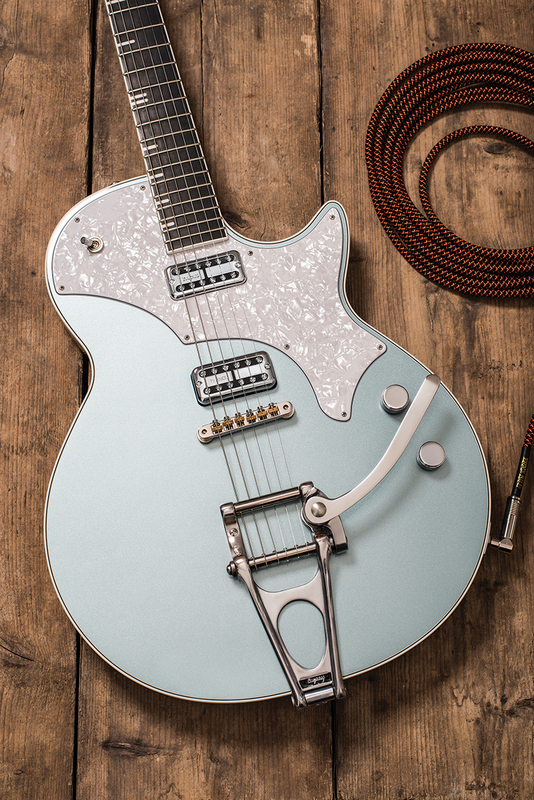 Back in 2000, taking inspiration from a Kay Tuxedo that someone had brought to him for repair, Jones collaborated with the Gretsch company and Brian Setzer’s guitar tech Rich Modica on a line of Spectra Sonic instruments that included a six-string electric, a ‘C Melody’ baritone and a four-string bass model. Although early Spectra Sonics were manufactured Stateside in the Hamer factory, production quickly shifted to Japan. However, by the end of 2005, the Spectra Sonic was dropped from the Gretsch catalogue altogether. Happily, the story didn’t end there, with Jones taking up the baton following the end of his licensing agreement with Gretsch. Production continues today in the respected Terada factory in Japan in which many Gretsch-badged guitars are still made. All new Spectra Sonics are shipped back to the US and set up by TV Jones before leaving his facility, which was previously in California but is now near Seattle. With its chambered alder body and maple top the Spectra Sonic Supreme weighs a healthy but manageable 8.2lbs. The body width of 15.25 inches means that it’s on the large side but it certainly doesn’t feel unwieldy and it balances superbly when strapped on. 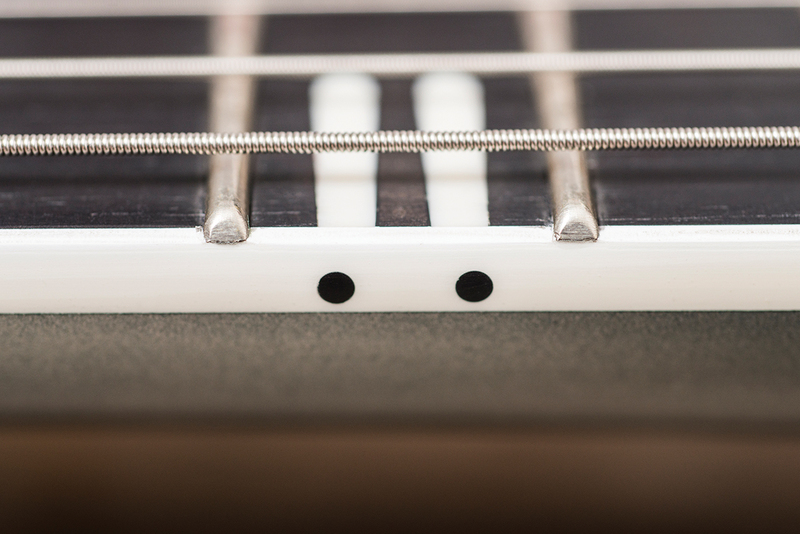 Those of us with larger frames will appreciate the extra girth – it’s nice to play a guitar without f-holes that doesn’t look like a ukulele when worn by a tall person! 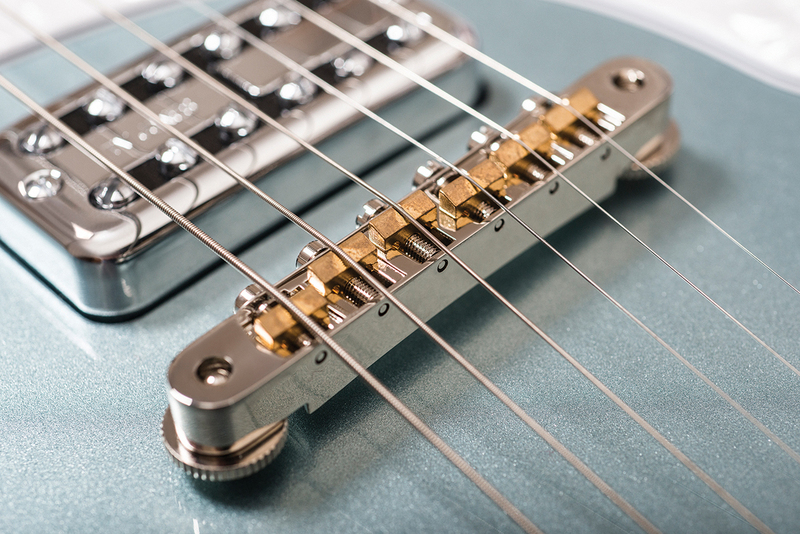 As the bridge posts are screwed into the top and the neck join is rather Les Paul like in construction, there’s more of a low-profile feel here than you’d typically get from a vintage-style Gretsch. 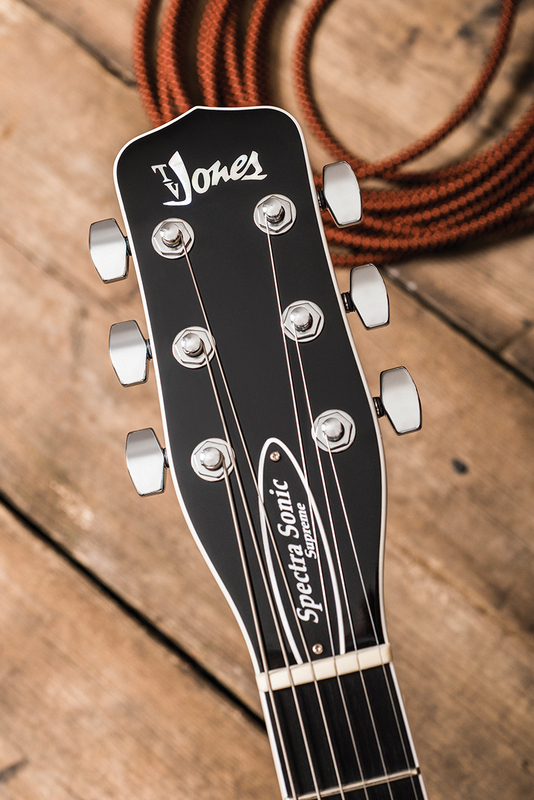 The Spectra Sonic is very player friendly as a result – throw in a comfortable, medium-depth maple neck that sits in the ‘just right’ zone for the vast majority guitarists and it’s a compelling proposition. Unplugged there’s a balanced response with a lovely, complex high-end and long sustain from open chords. Fire up your amp, dial in lashings of spring reverb, fret some spacey chord shapes, give that arm a gentle wobble and listen to those shifting harmonics. The Spectra Sonic Supreme is a guitar on which you can play fewer notes yet somehow fill more space and sound better in the process. 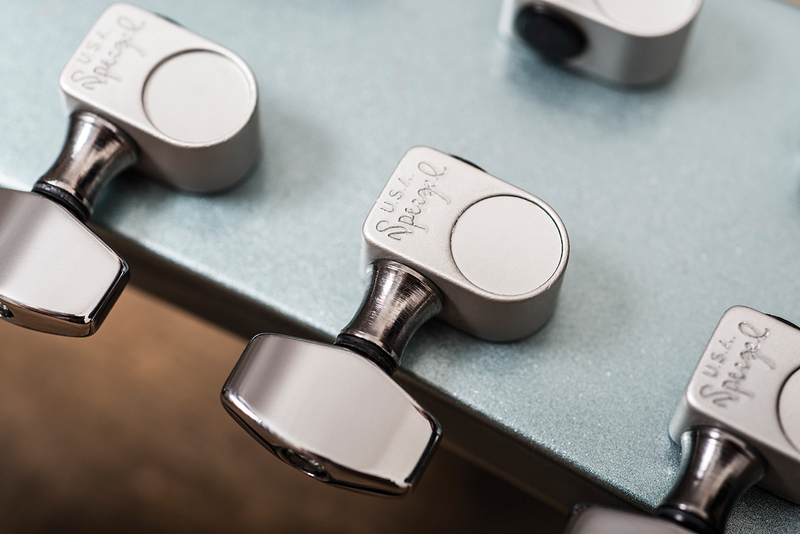 Although an ABR-1 bridge isn’t everyone’s first choice in combination with a Bigsby, the brass-saddled unit here works superbly well in practice. Aided by that slippery Delrin nut, even with a robust right-hand approach to the B12’s whammy bar, the tuning remains stable with the supplied set of D’Addario 0.010 to 0.046 strings. 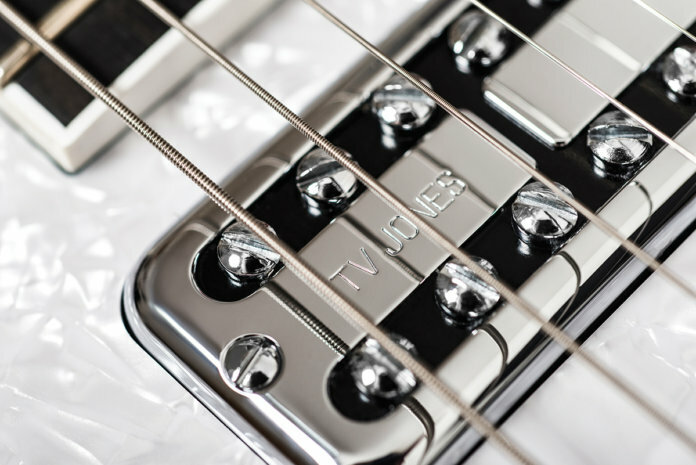 The B12 is a lesser-spotted member of the Bigsby family, but performance is very similar to a B7, the one practical advantage being that the strap button sits proud of the hinge plate rather than low in a cutout, so attaching your strap is less of a faff. When comparing the Spectra Sonic to our 2013 Gretsch Center Block Panther fitted with High Sensitive Filter’Tron pickups and manufactured in the same Terada factory, the Gretsch’s voice proves thicker and throatier. The Spectra Sonic has an extra layer of glistening high-end harmonics and offers a slightly more comfortable ride in higher registers when it comes to playability. That said, high bends on the plain strings still have that slightly plinky, fast decay akin to tapping the keys on the cobweb-covered upper reaches of an old piano. It’s all part of the vibe! Overall, the Spectra Sonic experience is much more like playing a scaled up Jet than something like a Falcon or 6120, and that includes how it responds when you add some gain into the mix. When played with overdrive, that high-end sparkle and definition helps to stop chords turning into mush when you cruise past Malcolm Young and in to Billy Gibbons territory. As long as lead acrobatics aren’t your bread and butter, for retro-pop, roots, indie or raunchy rock ’n’ roll the Spectra Sonic Supreme delivers the goods and looks fantastic in the process. Inevitably a guitar with so much Gretsch in its DNA invites you to travel down familiar roads when it comes to playing style, but the elegant simplicity and refined nature of the Spectra Sonic design give the guitar its own identity. 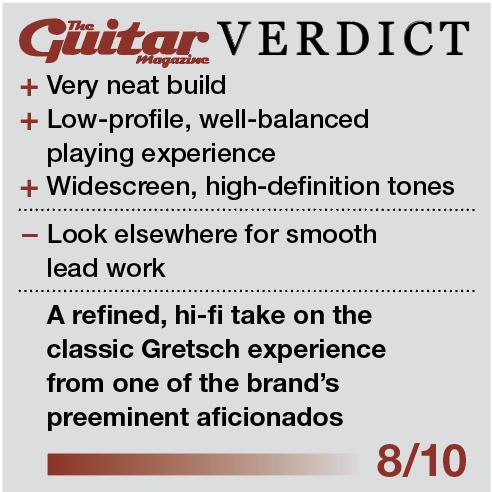 ‘That Great Gretsch Tone’ in technicolour? You’d better get hip to it, daddy-o.